I have a problem with exfoliators. Most of them leave my skin looking and feeling drier and more parched than before I started. 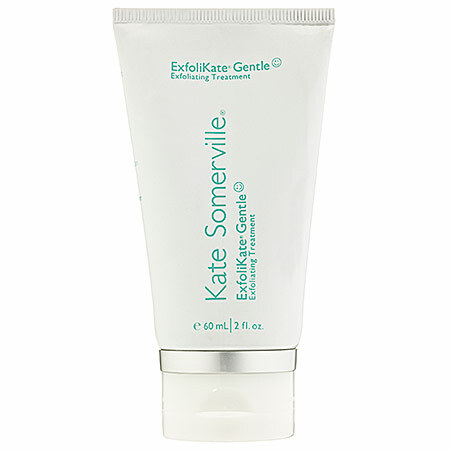 Not the case with Kate Somerville ExfoliKate Gentle Exfoliating Treatment. This -- you guessed it -- gentle scrub makes my skin glow. Since my skin is sensitive and on the dry side, this dual-action purifying treatment is perfect for me. It works to decongest, detoxify and refine the skin with ingredients like Retinyl Palmitate, an antioxidant that accelerates cellular turnover. The scrub itself is actually so gorgeous, I find myself using it increasingly sparingly. It's a vibrant teal with miniature scrubbing beads that feel unbelievably gentle against the skin -- it's not harsh or stripping at all, which is perfect. I've been using it twice a week in the shower -- I just leave it on for 2-3 minutes and then rinse off, leaving behind clear, radiant skin. 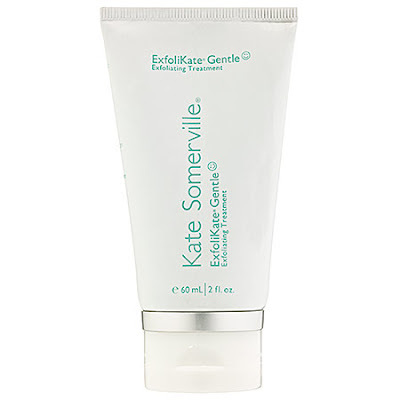 Kate Somerville Exfolikate Gentle Exfoliating Treatment retails for $65 at sephora.com.